How To Reduce Blog Load Time? Almost every new blogger fails in reduce blog load time because most of the guides available on the internet to reduce blog load time either unclear or incomplete. 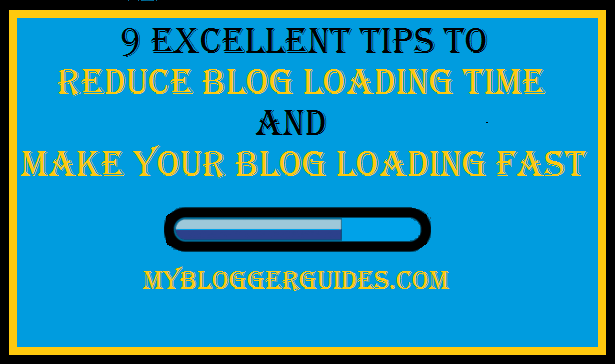 Therefore, Today I’m here to share some useful tips on how you can reduce your blog loading time. 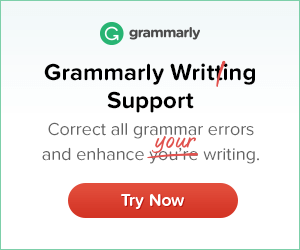 You Must Read – 7 Top Writing Tips For Beginners To Write Like Pro Bloggers. Don’t Ignore – Warning! Blogging Is Not For You If You Haven’t These Qualities. So, Always Beware and never make a mistake to choose wrong templates for your blogs. Some of the newbies start using widgets from unauthorized sites, and they don’t know the widgets they are using are taking very long time to load. As I’ve already mentioned above, fast loading speed is crucial to attracting search engines bots. Many times we are using some free images or custom images for our blog posts, but If you are not compressing them, then it will increase blog load time and not give any benefit to your blog. I’ll suggest you use GIF and PNG images because both formats are well compressed, supported by all the browsers and also small in sizes. You should use maximum 50-60KB images in the blog posts to make your blog faster in loading. If you are using images from Flickr but not compressing them, then they will never give you any benefit what you are supposing. Below I’m going to share a Plugin for WordPress users and a site for blogger users. Have a look on below list. SmushIt WordPress Plugin – This plugin has excellent quality because it is compressing the size of images without losing the quality. TinyPNG – This site is only for PNG pictures and just like the SmushIt plugin you can resize your photos without losing the quality. You can also give proper dimension to the pictures because it will make accessible to browsers to load your blog images quickly. If original size of images is larger, then always decrease it as much as possible. Are you using an image for your blog’s body background? If yes, then kindly remove it because A body background image repeats itself vertically and horizontally and also it is responsible for 50% slow load time of a website. If you want to remove body background image from your blog then simply find the CSS code which is looking similar to below code. This point is for WordPress and custom website users. Apart from the templates and widgets, hosting is also majorly affecting the blog loading time. If you want to reduce your site loading time, then you should use the high-quality web hosting. I recommend you to use BlueHost due to it’s better to speed and up-time. Compare to others; BlueHost provides fantastic services regarding fast to load websites, easy to customize, security and also much other stuff which also helps us in reducing blog loading time. So if you want to take your blog to the next level then don’t go by considering only money while selecting the hosting. You should also think about the many other excellent facilities. 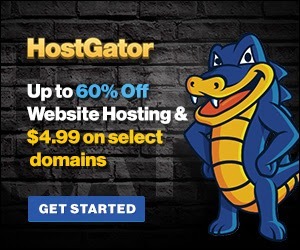 If you are interested in buying a BlueHost hosting plan, then you can get it from here. This is also another excellent track to reduce the load time of a blog. A large number of posts to display on the home page are also very harmful. 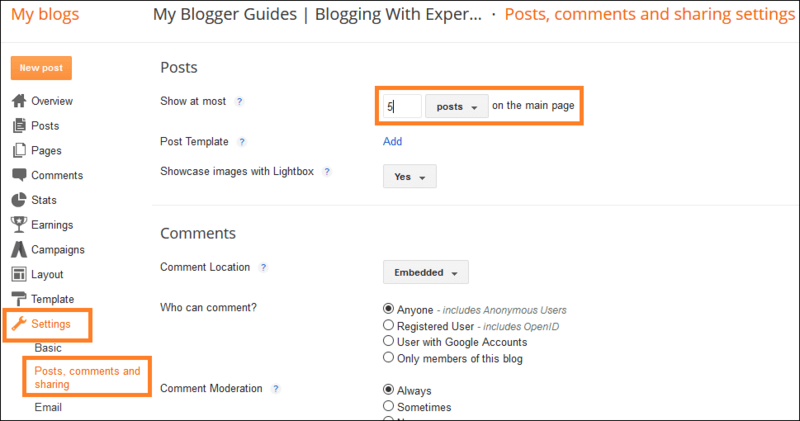 If you are a blogger user, then navigate to Setting >> Click on Posts and Comments and in the Show at Most option select 4 or 5. For more see below screenshot. If you are a WordPress user, then you should navigate to Settings >> Click on Reading and in Blog pages at the show at most option type 4-5 or whatever you want. For more see below screenshot. You should use Meta Tags provided by them rather using their widgets because they are not taken time as widgets regarding load time. If you really want to use these widgets, then try to show few pictures on them, as low as 8. Nowadays monetizing A blog is very common and it is also good, but if you are blogging for only money by displaying a lot of ads, then you are misusing the beautiful world of blogging. Please don’t make a blog vegetable market. If you are a Publisher of Google AdSense Ads, then I will recommend you to use asynchronous format instead of synchronous format because asynchronous ads are loading faster than the synchronous ads. You should remove all external links files from your blog because it can be very dangerous to regarding loading speed of your blog. Check below list for better understanding. If you are using widgets, that are from external sites, then eliminate them from your blog. If you are using images from another URL’s rather than uploading them to blogger, then you’re again wrong. Don’t use StatCounter instead of it Use Google Analytics. Don’t Use Too Many Widgets and Remove Unused Widgets Too. So above guide is about reducing blog load time and make blogger blog load faster. I hope you will like this post. If yes, then don’t forget to share this article with your friends by using any one of your social networking ID. Have you any other ideas to reduce blog loading time? If yes, then please do share with my readers and me. Don’t forget to subscribe us if you want to get more blogging tricks direct into your email box. Thank You! Stay Blessed and Stay Happy!